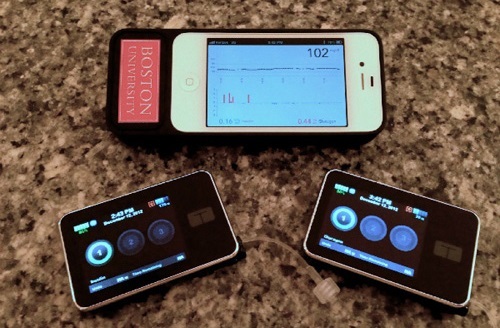 Use of a bionic pancreas in patients with type 1 diabetes resulted in more consistent blood glucose levels in the normal range compared to manually monitoring glucose via fingerstick tests and an insulin pump. The results of this study are published online in the New England Journal of Medicine. Researchers tested a bihormonal bionic pancreas that monitors real-time glucose levels in tissue fluid and provides insulin and glucagon via 2 automatic pumps. The bionic pancreas uses a removable tiny sensor located in a thin needle inserted under the skin. These devices can be monitored remotely by the patient’s medical provider or parent. In the Diabetes Control and Complications study, one group of 20 adults wore the device combination and carried a cell phone-sized wireless monitor around Boston for 5 days without any activity restrictions. The other group of 32 youth wore the device combination for 5 days at a camp for children with type 1 diabetes. Both groups were monitored for 5 days by wearing their own conventional insulin pumps. About 37% fewer interventions for hypoglycemia and a more than 2-fold reduction in the time in hypoglycemia in adults using the bionic pancreas than with the manual pump were seen. For youth using the bionic pancreas, results showed more than a 2-fold reduction in the need for hypoglycemia interventions. Both groups had significant improvements in glucose levels with the bionic pancreas, especially during the night.